Who shot the fuel dock? Part 3 of Fire! 1990 saw the grand opening of Universal Studios Florida, located less than 10 miles from Walt Disney World in Orlando, FL. The opening was difficult, as nearly every attraction used ground breaking technology and a few of the opening day attractions were either not ready or did not perform to a satisfying degree. Due to the fact that the park would not feature a large backlot for trams to drive through, the decision was taken to take 3 “Staged Events” from the Studio Tour in Hollywood and flesh them out as standalone attractions. 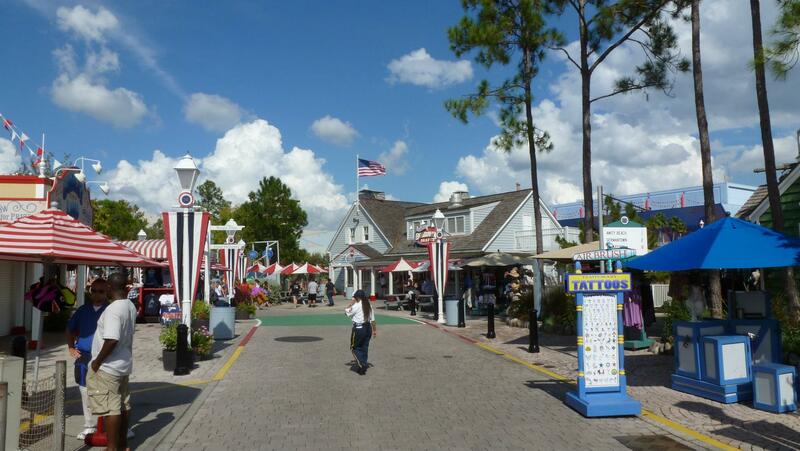 The Amity area of Universal Studios Florida in 2011. Picture appears courtesy of Flex. 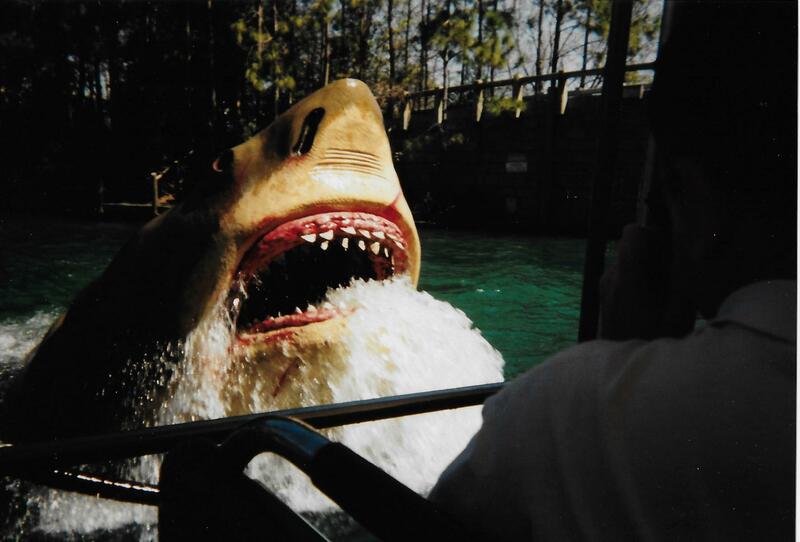 Ride and Show Engineering were contracted for two attractions: Jaws and Kongfrontation. Jaws original version never worked correctly, as it involved a complicated show scene where one of the mechanical shark would “bite” the boat”. It would then drag it out and spin before our skipper broke free. The ride was rarely open the first summer and eventually, the park gave up. An all new ride system brokered by Intamin AG was installed, Totally Fun Company and ITEC Entertainment reworked the effects and Oceaneering Inc. was called upon to make the sharks work. 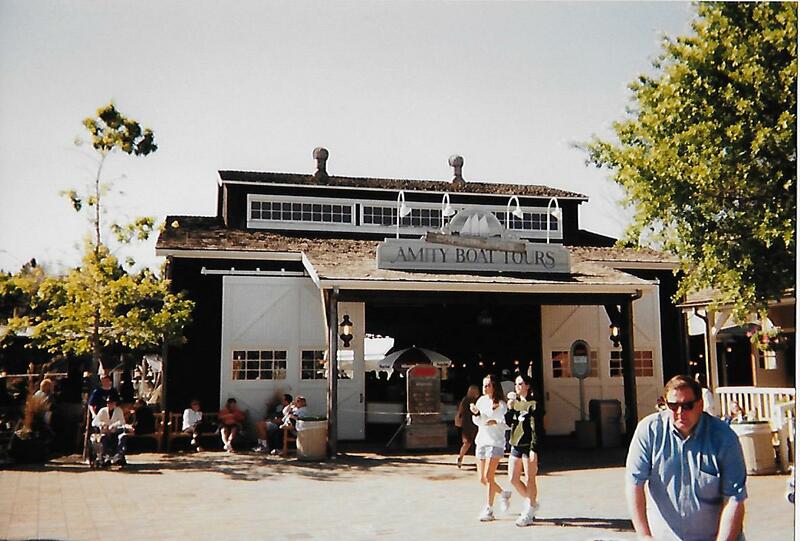 The entrance to Amity Boat Tours, home of the Jaws attraction. 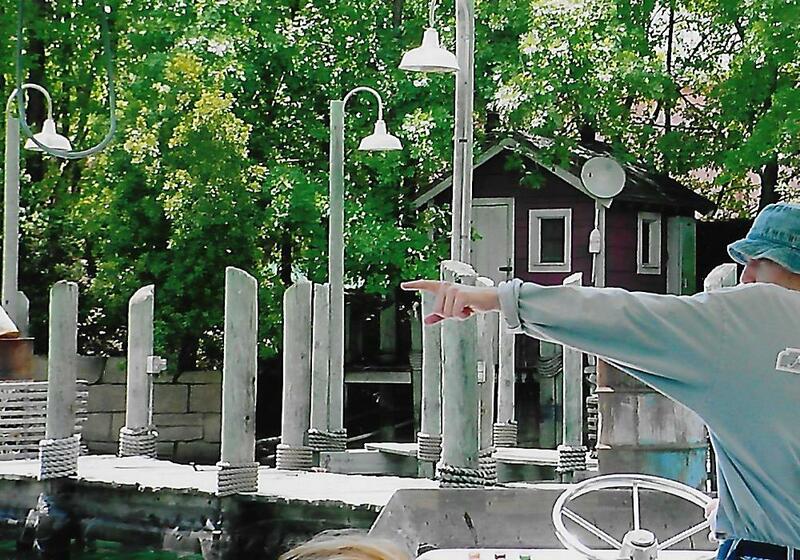 Live narration by a skipper was always a feature of the attraction. Oceaneering is a billion dollar company that specializes in extreme environment equipment. Robots to repair offshore drilling platforms, deep space robots and everything in between are part of their portfolio. So, they were intrigued by the challenge Universal Creative gave them: can you make powerful robotic sharks do their show every minute in a filtered environment that also has the occasional diesel leaks from the boats? Oceaneering was up to the challenge and Jaws reopened with no further issues in 1993. It eventually lead to them founding an Entertainment System division that today provide ride vehicles and show action equipment to many customers. One of the Oceaneering shark used on Jaws. 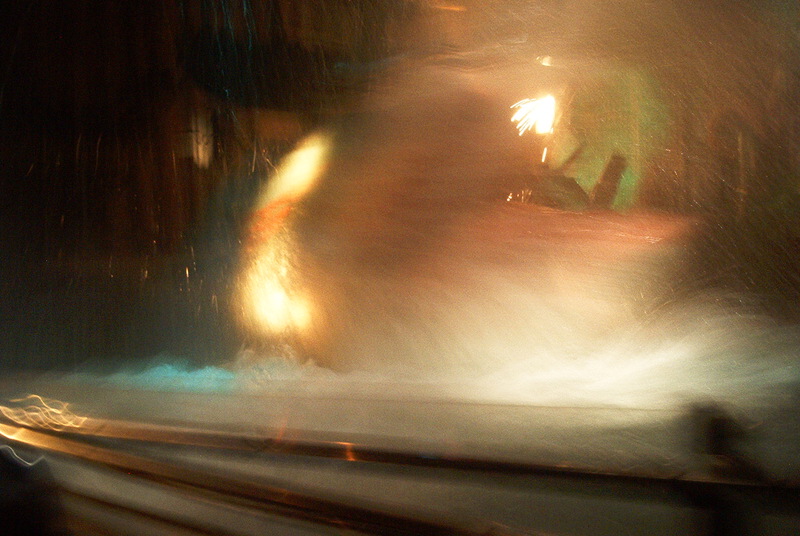 As part of the changes, the shark biting scene was replaced by a fuel dock. Now, our hapless skippers are provided 40mm grenade launchers for our protection and what happen when a grenade land next to fuel pumps? They explode and this was a particularly complicated scene. 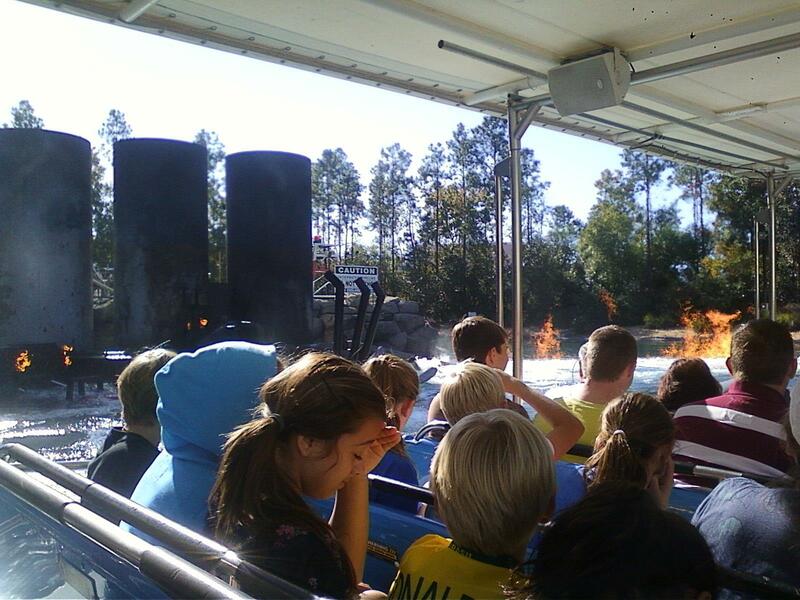 First, the gas pumps would break and land into the water, releasing a fireball. A much bigger fireball is shot out from under the dock and that cause the gas tank pipes to break. They release large gusts of fire and underwater pipes snap. An underwater gas line catches fire and it feels like the whole water is ablaze in front of us. The effects were timed that the fire would stop right before out boat cross the underwater gas line. The fuel dock scene aftermaths. Shot in 1998. It is a very elaborate scene and was impressive for guests. For many, it was their strongest memory. Unfortunately, after 2003, the attraction closed down for a short time and went on seasonal status. When it returned to full service, the scene was toned down and only the initial gas pump blast, one broken pipe and the underwater gas line remained active. In 2001, a clone of the 1993 version opened at Universal Studios Japan in Osaka, Tokyo and it still features the full fuel dock sequence. The fire wall and gas tanks. This was taken in 2011 a few months before the ride closed. Jaws finale was also reworked during the closure. The original final scene had the skipper shooting a grenade “inside the shark’s mouth” and it blew up in various pieces and fake blood. A funnel at the bottom was supposed to collect the pieces for the next boat, but it would have required a lot more work to make work everytime. So, Universal instead lifted the ending of the Jaws 2 movie where the shark bites on an underwater electric cable and electrocutes itself. An additional charred and burned shark would then float up to the surface and lurch at the boat in a last ditch effort, but our skipper would shoot it and then call off the marines, because WE’RE GOING HOME! Jaws closed down on January 2nd 2012 at Universal Studios Florida and were replaced by Diagon Alley. It still operates at Universal Studios Japan (Osaka, Japan). 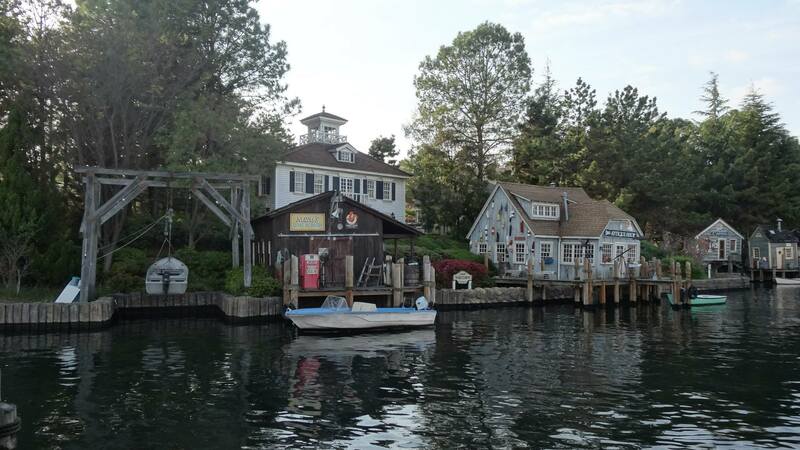 The fishing village near the loading dock of Jaws at Universal Studios Japan. Photo appears courtesy of Flex. 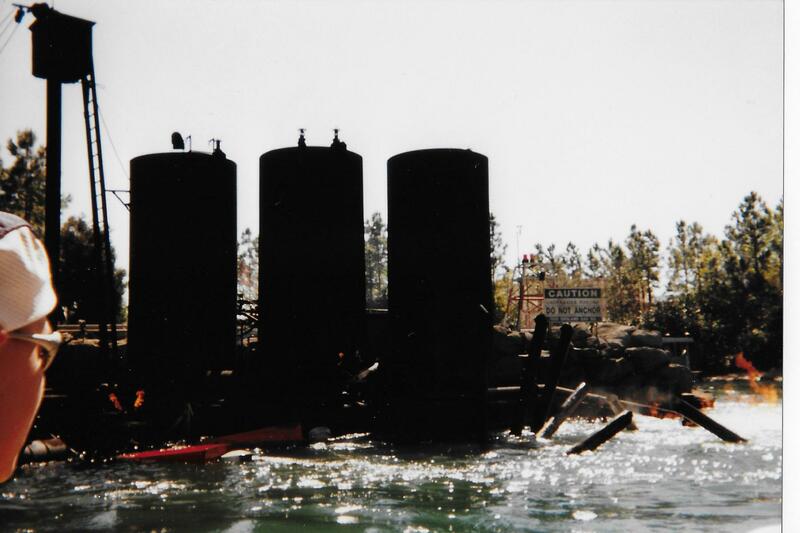 This entry was posted in Special effect and tagged fire, Fuel Dock, Intamin AG, Jaws, Universal Studios, universal studios florida, Universal Studios Japan. Bookmark the permalink.